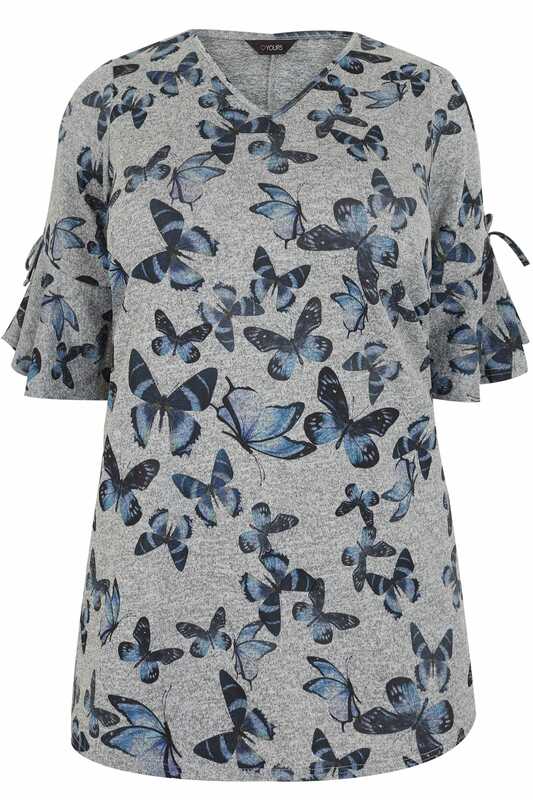 Introduce pretty prints to your everyday wardrobe with this top. 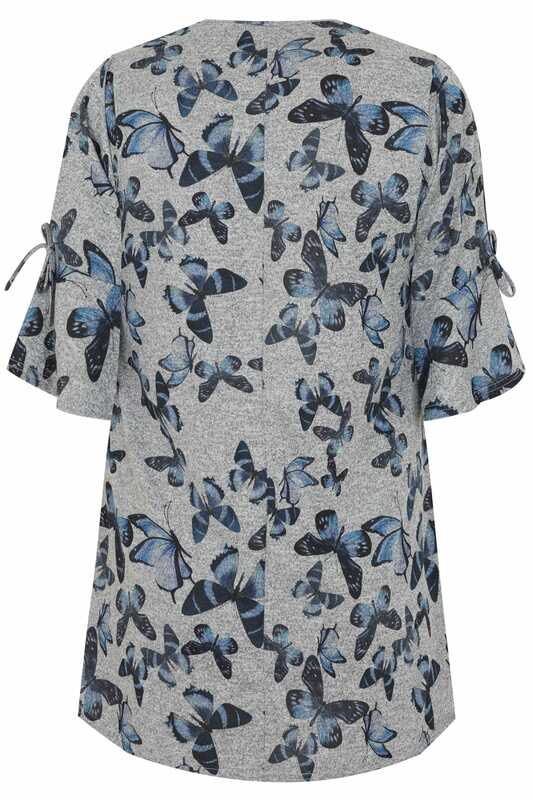 In a flattering longline swing style designed to give more coverage, it features cold shoulder cut outs and flute style sleeves. Team with denim and flats for daytime appeal. 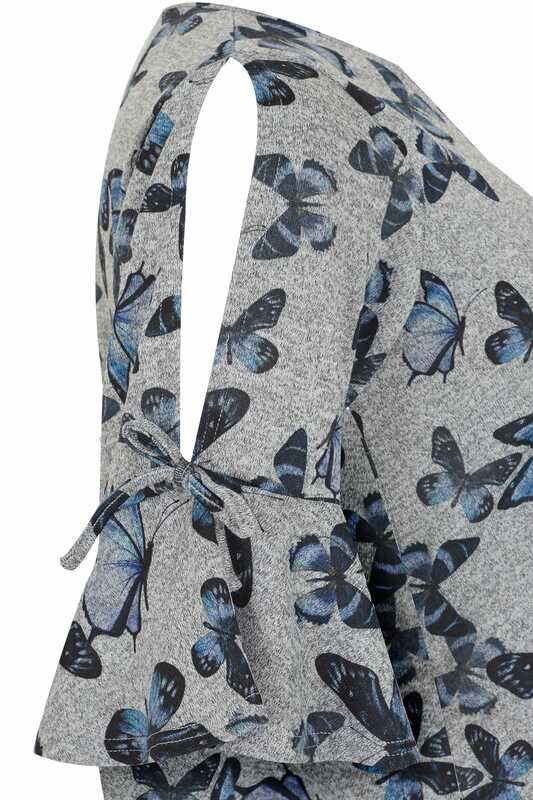 We love the bold butterfly print.